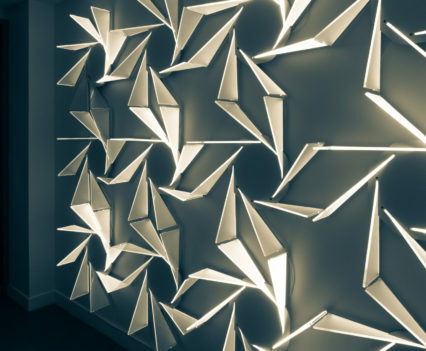 The Wind Report is part of a series of commissions by Bloomberg curated by Arts Co called ‘Waste Not Want It’. 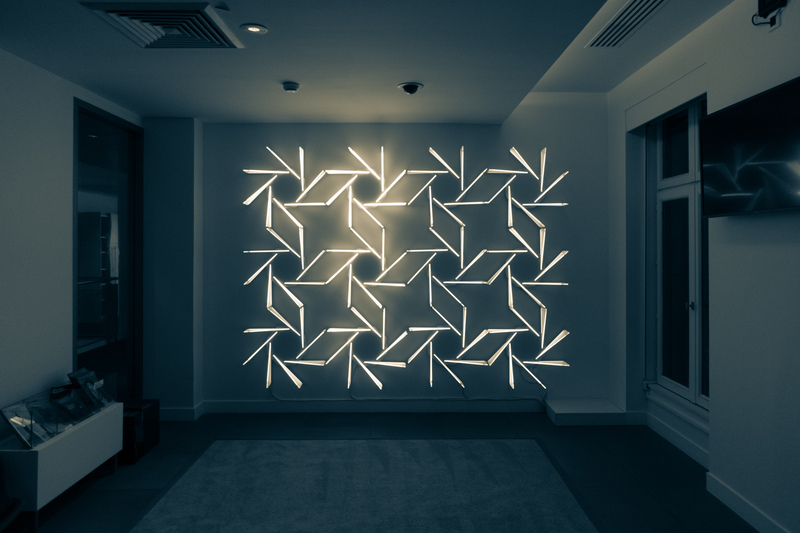 Bloomberg provides a platform for some of the world’s most dynamic artists and designers through the commission of furniture and art installations in the heart of Bloomberg’s London and Paris offices. 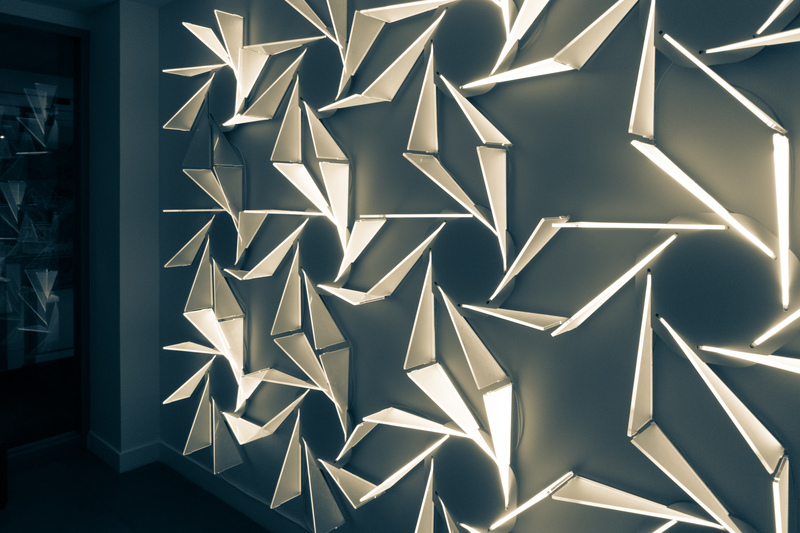 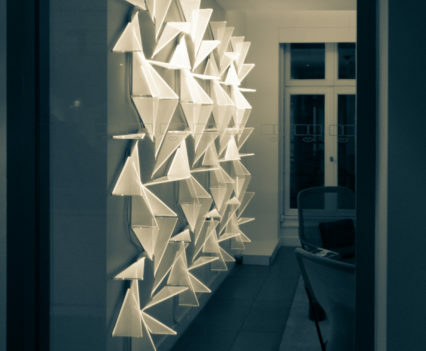 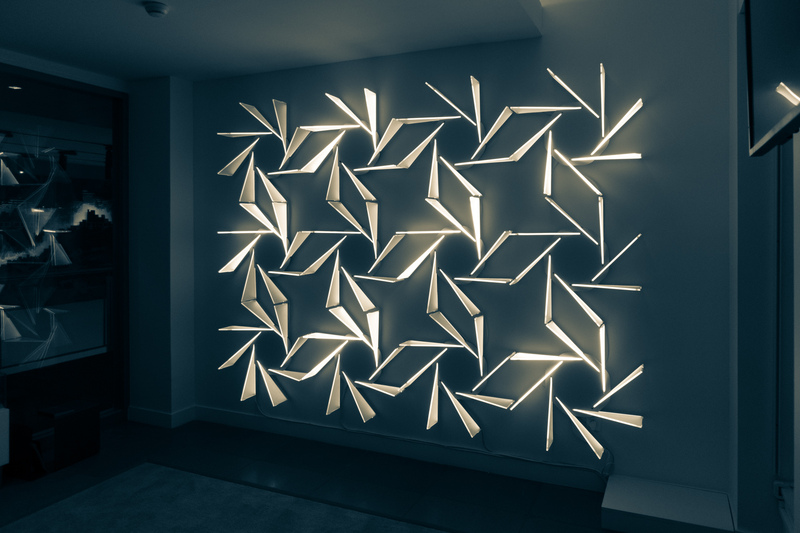 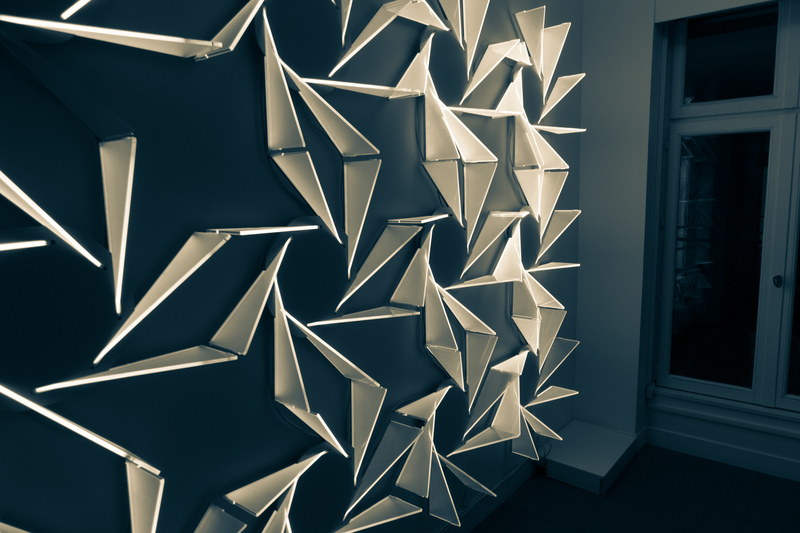 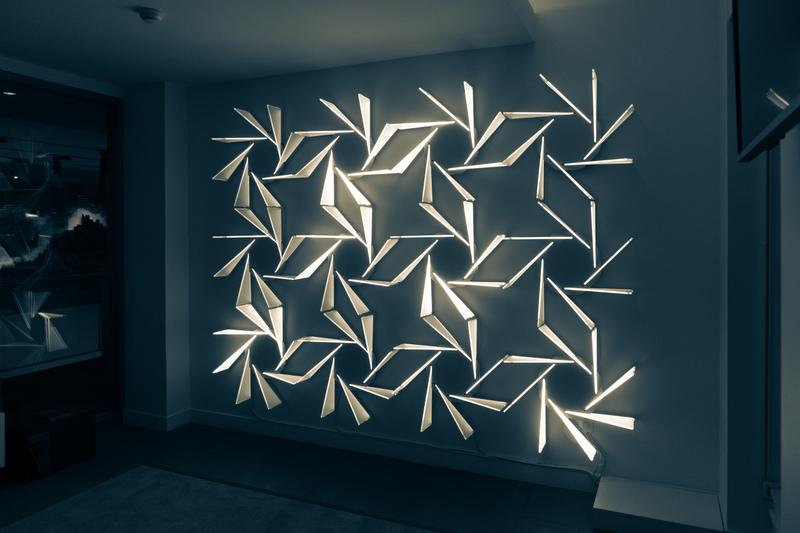 Following the success of the Faraday Curtain the studio was commissioned once more to create a site specific light installation called the Wind Report in the Paris Bloomberg office using broken and out of date computer screens. 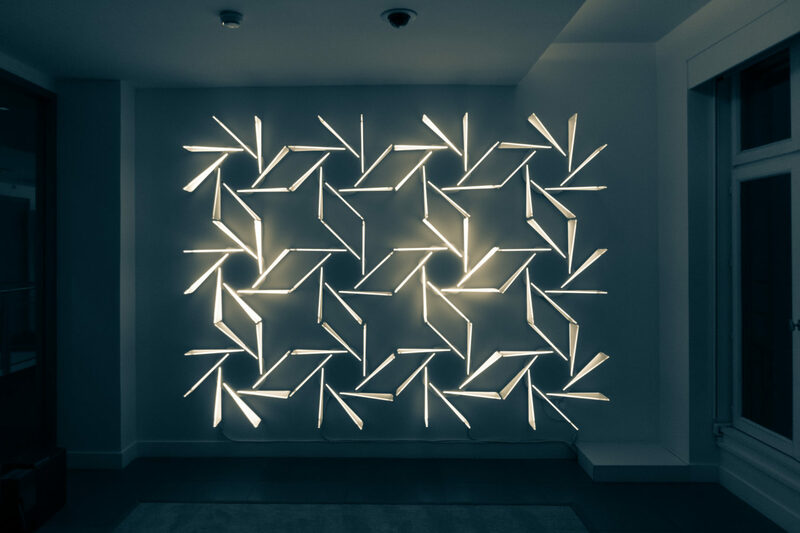 We repurposed CCFL light tubes, perspex screens and optical films found within the monitors of the Bloomberg recycling facility. 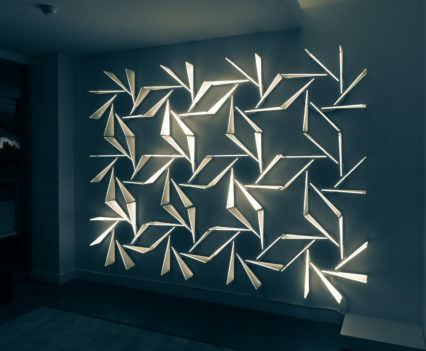 All electrical components and monitor parts were disassembled and reconfigured to display a different type of ambient data in a patterned wind rose formation. 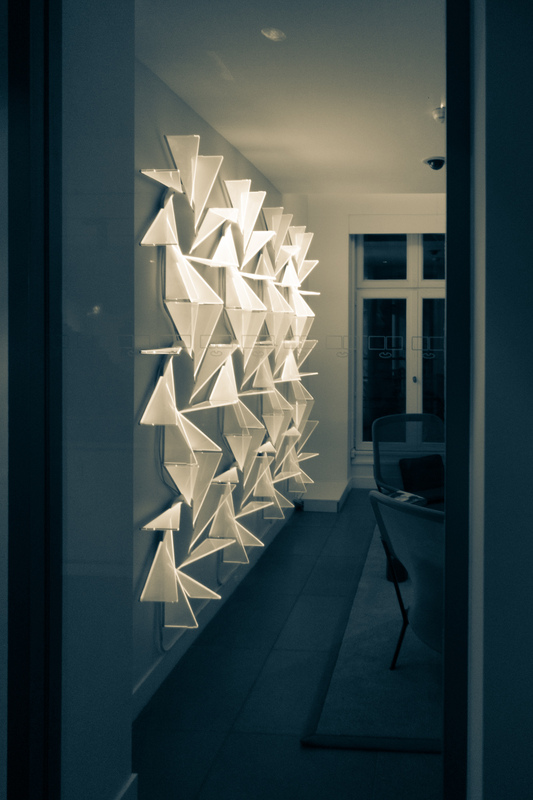 The Wind Report interpolates live weather data from the weather stations found at Paris’s four airports in order to display real time wind patterns surrounding the Bloomberg Paris office. 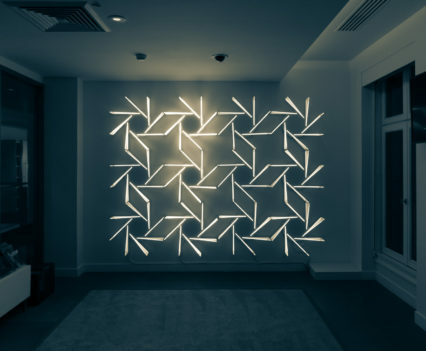 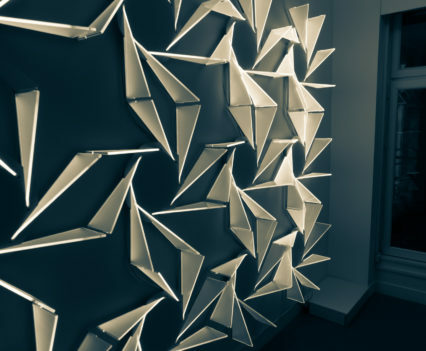 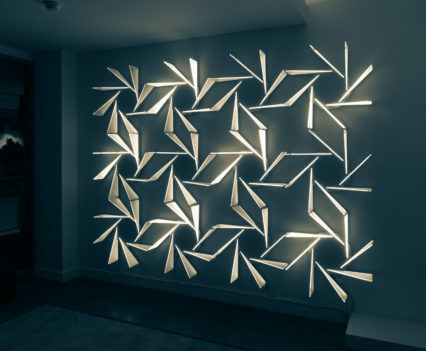 The installation creates a wind rose that display’s these qualities with animated lines of light orientated within the four North, East, South and West directions. 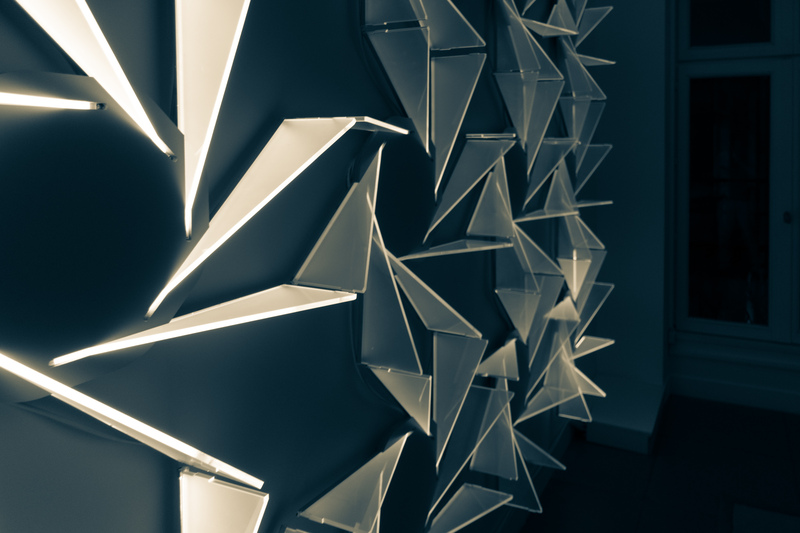 Share the post "The Wind Report"